Geography: West Midlands. Part of the Birmingham council area. Main population centres: Bourneville, Selly Oak, Brandwood. Profile: A seat in urban Birmingham, England`s second city. Selly Oak is towards the south of of Birmingham and consists of the wards of Billesley, Bournville, Brandwood and Selly Oak. Bourneville is a planned community, built by the philanthrophic George Cadbury to give a higher standard of living to the workforce of the Cadbury factory that continues to be a major local employer. The rest of the seats is a mixture of outlying residential area and council estates, making the wards that make up the seat marginal between Conservative and Labour. The Selly Oak campus of Birmingham University lies within the seat, giving it a substantial student population. Politics: Once a marginal between Labour and the Conservatives Selly Oak had become increasingly sold for Labour, but the 2010 boundary changes made it more favourable for the Conservatives, though not quite favourable enough for them to win the seat. STEPHEN MCCABE (Labour) Born 1955, Port Glasgow. Educated at Moray House College. Former social worker and college lecturer. Birmingham councillor 1990-1998. First elected as MP for Birmingham Hall Green in 1997. PPS to Charles Clarke 2003-2005. Government whip 2006-2010. ALEX BOULTER (Conservative) Educated at Edgbaston High School for Girls and Durham University. Accountant. STEPHEN MCCABE (Labour) See above. COLIN GREEN (Liberal Democrat) Born Lancashire. Educated at Staffordshire University. Software engineer. STEVEN BROOKES (UKIP) Born 1967, Birmingham. Educated at Queen Marys Grammar and UCL. Solicitor. Sarah Teather? I’m sorry, but……….. The score seem to re-adjust, that infer continued voting somewhere. I know attractiveness is subjective but what method is used to assess it. That’s one resilient local Tory vote. In 2010, locally Labour only led by 2.9%. However, the local Tory vote was only 0.3% larger than the national vote. The Labour lead really came from BNP and Green voters. Thanks for the figures Van Fleet. You’re welcome. Rather enjoy doing this. 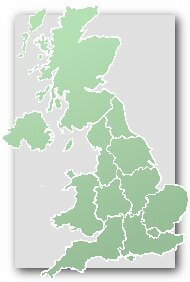 How likely is it that the Conservatives carried Bourneville in the 2010 general election as well as in the local elections held on the same day? Well you can know what the local result was because there were actually local elections on the same day as the general election. Andy JS- sorry, I didn’t make that question clear. I know that the Conservatives carried Bourneville by 700-odd in the 2010 local elections. But I was wondering how likely it was that the Conservatives will have carried it in the general election too? After all there can be a mismatch between municipal elections and general elections in Birmingham, as John Chanin and others have frequently pointed out. The only way to calculate it is by applying a uniform swing between the constituency result and whatever the cumulative result was for the wards which comprise the constituency. (I might have time to do it tomorrow if no-one else has by then). Well the conservatives are looking less likely to hold Bourneville as Nigel Dawkins (Con) lost his seat to Phil Walking (Lab) at the last local elections. I’m pleased to announce that I have been selected to represent the Lib Dems in Selly Oak in 2015. Lynne Jones made this a comfortable seat for Labour when the 97 boundaries were in place. Bournville is currently the only ward with Tory councillors. I think Brandwood is quite competitive between them and Labour. Local election results with comparison to 2010 (general election day). UKIP hoovered up the sizeable BNP vote and the collapsed Liberal Democrat vote. Unlike Northfield and Edgbaston there was however an increase in the Labour share and a swing to labour from the Conservatives. The Lib Dems made a surprisingly good defence of their last seat in Birmingham’s student ward (Selly Oak itself), but not enough to hold it. The Conservatives held Bournville which they lost at the last 2 elections (C1 L3 this time, C1,L11 total). As I have been saying for quite a while this seat is much less good for the Conservatives now than Northfield. could respect field a candidate here? It’s highly unlikely that Respect will stand in Selly Oak. Their core area was in Sparkbrook ward in Hall Green constituency. When Salma Yaqoob stood down, the remaining party collapsed pretty quickly. They do still have one Councillor but apart from that is the respect party really still in existence? I thought George Galloway was their only remaining elected official? Actually, Robbie, Respect technically have no councillors now-their lone councillor in Tower Hamlets came over to Tower Hamlets First (as did a few other Respect Party members in Tower Hamlets) and the few candidates they stood elsewhere this year did not come close to winning council seats. Their demise will come soon, in my opinion. Oh no sorry my bad guys I checked they lost their last Councillor , my bad. Even apparently they have a seat? Did they get it in a by-election? I’m pretty confused? Alex Avern selected for Conservatives. I think Selly Oak is the sort of seat where a Lib Dem voter is more likely than average to go Labour. I would therefore predict an increased Labour majority with the Tories losing out a bit to UKIP. The Lib Dems should get squeezed back into their Selly Oak base and I would be surprised if they picked up much in Brandwood or Billesley. This will leave Labour on above 40% with a clear majority over the Tories in second. Walking round Bournville yesterday I was really impressed by how attractive and pricey are the homes of those showing Labour stickers. I expect there’s some nice, well-paid, public sector jobs behind this, not uncommon, phenomenon. P.S. UKIP supporters are advised not to place UKIP stickers on their windows. By the way, Bournville is spelt without an ‘e’ in the middle. In 1992, the seat was won by Lynne Jones, Labour – not the Conservatives as shown above. Yes, but there have been boundary changes. Presumably Anthony means that, had the seat had its present boundaries in 1992, it would have voted in the way shown. well, yes Billesley & Brandwood were in Hall Green until 2010. Agree with Shaun again on this one. It’s long ceased to be a realistic Conservative target. The Conservatives will however retain Bournville ward at the local elections. Note that this Selly Oak seat is exactly 50% of the old pre-2010 seat of the same name, and 50% of the pre-2010 Hall Green seat. The Boundary Comission made a bit of a mess of South Birmingham last time. Interesting that this seat was still 72% white British in 2011. That’s higher than virtually every seat in London except maybe Romford. The Tories problems must be more to do with public sector voters as much as EMs. Note that the major trend is towards Labour in cities and towards the Conservatives in towns. This was starkly obvious at the last election in the Midlands. This isn’t anything to do with the proportion of ethnic minorities, or in my view public sector workers either. It is more of a social trend towards residential sorting. Those well off people who like cities tend to vote Labour, whereas those who want to escape the city tend to vote Conservative. The interesting thing for me is why this only applies in big cities, but doesn’t seem to in medium sized towns. This isn’t therefore as simple as an urban-rural split. The very high student vote will have helped Labour this time, but one can quite imaging it flitting elsewhere on a future occasion, particuarly as Twitter and other on-line programs encourage voters to be volatile, even from day to day. This has only the 20th highest student vote in England, and rather surprisingly the figure is higher in Ladywood. I guess the Birmingham University students are tightly corralled into Bournbrook (half of Selly Oak ward) – I don’t have the student percentage for the ward to hand. There are few out in the suburbs. Ladywood contains the main buildings of Aston and the now renamed Birmingham City University. 57% of voters in Selly Oak ward are students, but only 8% in the other three wards. I would add that the second highest number of students in Birmingham is actually in Edgbaston ward (37%) which remains fairly safely Conservative. The Tory vote has held up rather better than might have been expected given the demographics. No they haven’t but they only fell short by 21 votes in 2011. After a long house hunt, looks like I’ll be here rather than in Harborne in the end. Will be moving on Sunday, at least in theory! Was doing a leafleting round in Selly Oak earlier, south of the student area. I only met and talked to a few people, two leave and one remain, though given the time and day of the week most of the areas with people in were the small council-type blocks with older residents in. There were numerous Remain posters though not at super-high densities, not a single sign of Leave posters or activity otherwise (though I’ve had Leave and Remain leaflets at my own home, perhaps had a little more from Leave but Remain have stepped up considerably in the later & closing stages). Labour Remain posters as well as official Stronger In stuff was certainly in evidence; the party feels quite dug in here. The Leavers I talked to didn’t seem to be all hanging on the “Independence Day for Britain” stuff, it was rather more a matter of fact dyed in the wool sod-the-lot-of-them attitude. I think this is probably going to be a Labour hold regardless, but on a good Tory night in June the majority could be slashed to under 5% especially with a collapse in the UKIP vote. If the Lib Dems or Greens started to fight here McCabe could be in real trouble, but he’ll probably be saved by the lack of any other party being organised enough to put up a serious fight. Strange. The way the article described it, it doesn’t sound like a politically motivated attack, but why would bikers be carrying a brick around unless they planned to throw it at someone.